Reading- This week we have really hit hard on making inferences, or drawing conclusions. We learned that we make sense of stories by using what we already know and what the text says to figure out what the author is not directly saying. Math- We are currently working on unit 3, rounding and also reviewing 3-digit addition and subtraction. 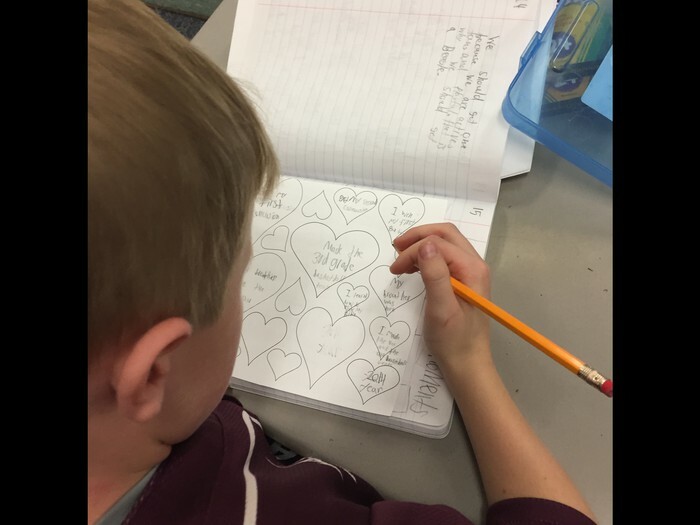 Writing- We have been working on our heart maps to help us brainstorm some ideas for our personal narratives we will be writing. Science/Social Studies- Continuing E4Tech, Flat Stanley & Classroom Economy system. "What did you learn in school today?!" At parent/teacher conferences I had a few of you ask how you can get your child to talk about school when they get home. One suggestion I have is checking out our classroom Twitter! When you see the pictures from the day, you can use them to guide your questions. For example, instead of asking what they learned today you could say "I see you did a science experiment today with lava lamps, can you tell me about that?" Talking about how we can use our "social filter" with Mrs. Ministeri. We must ask ourselves, "is this helpful or hurtful?" 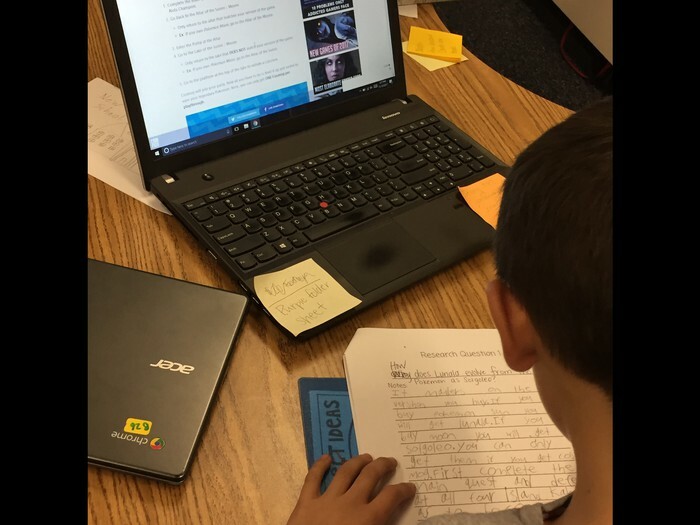 Students are working hard on their research! 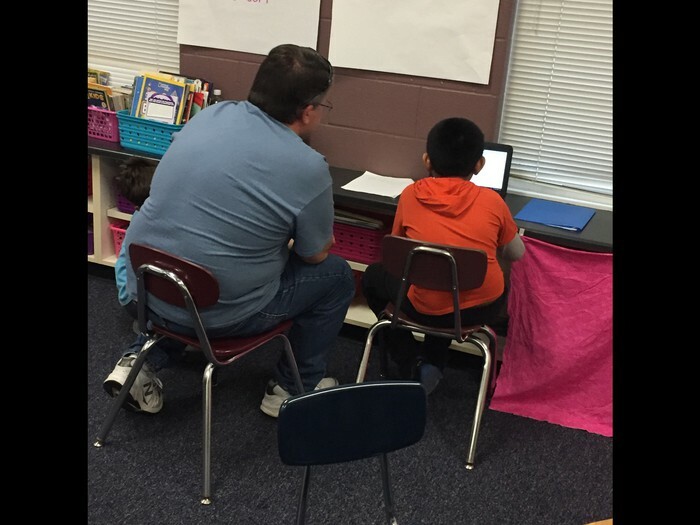 Thank you Mr. Bruinsma for coming in this week to help us research! 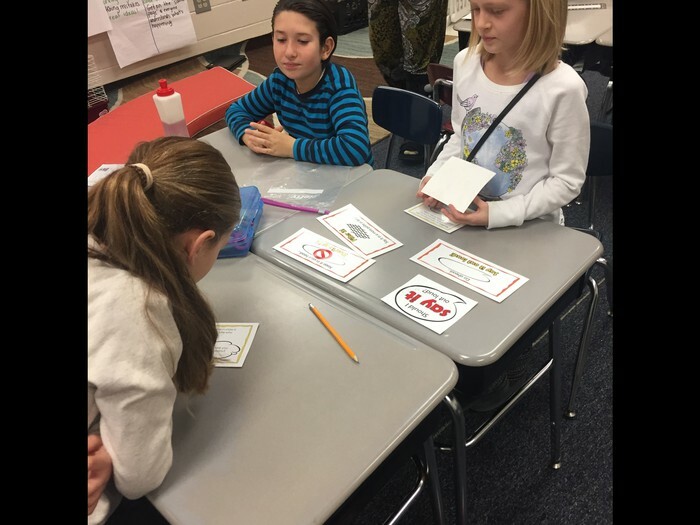 Students were challenged to show their thinking through a concrete model this week. 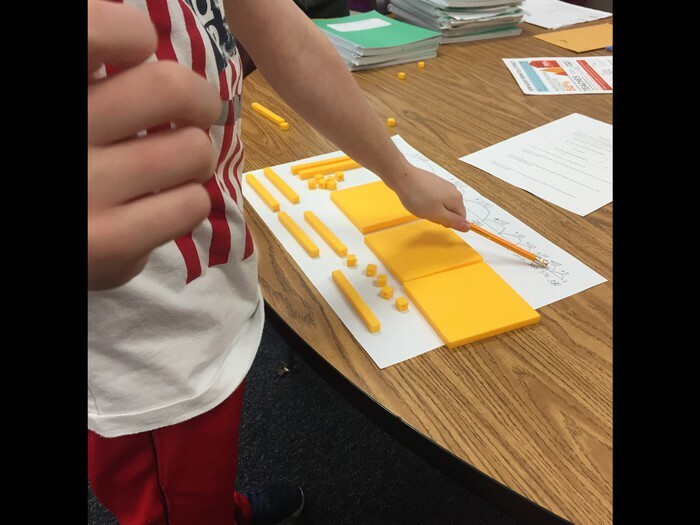 Here Jackson did an awesome job of building his model & then using a number line to show his thinking! Asher is deep in thought as he takes notes on the information he's finding about Pokemon! Dempsey is brainstorming some small moments in his life. We will later use these to write a personal narrative. 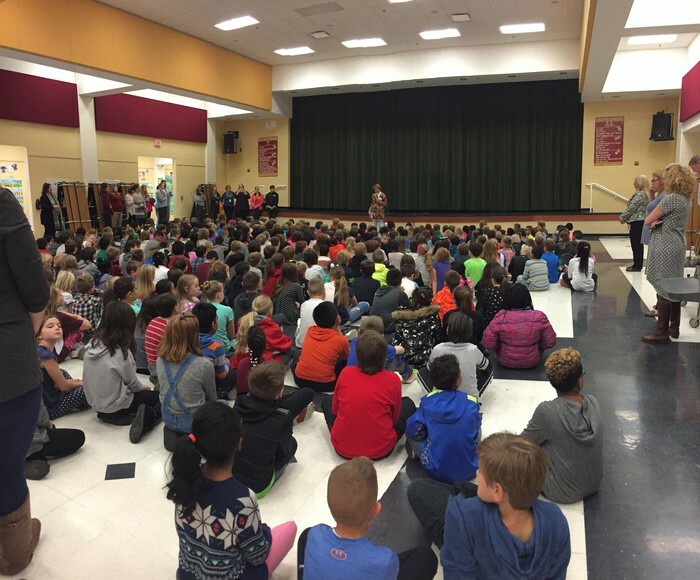 They New Albany Rotary Club donated dictionaries to every 3rd grade student! We are so thankful! !